Readers are Leaders and Leaders are Readers. To grow the number of Leaders in our country we need to assist the process of growing the number of Readers. Here is an initiative striving hard for the same. "Success is not just about making profits and sitting in an office, but also about giving back to society" - Ratan Tata. These thoughts have been resonating in my head since the first time I heard them. It is not always about driving fancy cars, living in luxurious houses, or being powerful. Instead, Success is about how many people remember you for the kind of person you are and the kind of deed that you have performed in the past. Operating in the education space and interacting with people of various age groups, we realized education had the power to transform lives, but due to many hurdles, it was not able to achieve its full potential and make transformational changes. Constraints such as economic viability, low quality of content, lack of motivation and guidance have been pulling us back in achieving our dreams. But to be determined, focused and to not lose heart was what we have always believed in. Along with the inception of Dream Slate Edutech Private Limited, we founded Dream Slate Books, a social initiative that provides recreational books to orphanages and old age homes that too just at the click of a button, in April 2014. Having collaborated with various orphanages and old age homes in Hyderabad and Mumbai, we created a network for our ‘online on-demand library’. With every collaborated orphanage and old age home being given a tablet to access our catalogue, which has over 200 books from various genres ranging from fiction to mythology, and the individual having the access to choose a book of one’s interest, we have managed to provide free access to unlimited subscription to every individual. Our system allows the individuals to read reviews, watch trailer videos (if available) and then decide which book to choose, giving them the encouragement and excitement to read more and expand their intellectual horizons. Dream Slate Books was started as a concept to introduce and encourage more people and children towards recreational reading. But with time, this concept has transformed itself into a motivational model. Today, we are proud of our 15 children who have become avid readers and have shown exceptional improvement in their academic performances since they have been associated with us. Any facts, figures or references stated here are made by the author & don't reflect the endorsement of iU at all times unless otherwise drafted by official staff at iU. This article was first published here on 3rd June 2015. 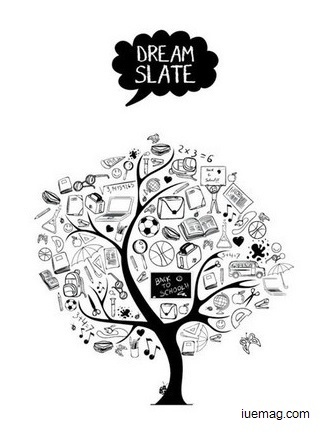 Founder of Dream Slate Edutech Pvt Ltd.